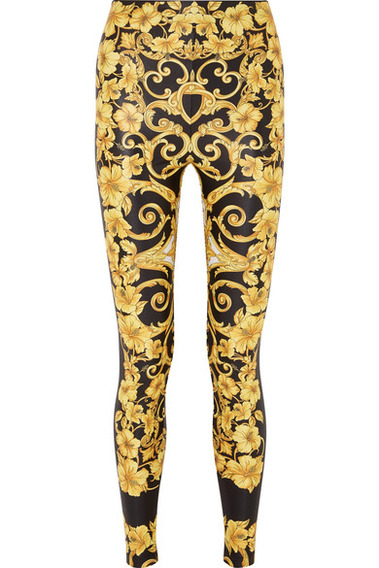 So many fashion houses are reviving archival prints at the moment, and Versace's baroque motif has got to be one of the most iconic. Made in Italy from stretch-jersey and decorated with the label's signature pattern, these leggings have a flattering high rise and close fit. Wear them with the matching bustier top and an oversized blazer.